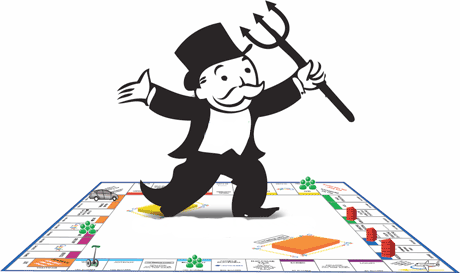 This week has been a notably anti-developer week, a nasty bump in the world of property development. Not for quite some time have property developers and property financiers been held up for so much scorn, hatred, and public derision. Is it all deserved? You be the judge. Firstly, local property developer Lance James has been sent to jail for 8 2 years – yes, EIGHT TWO years, although not for heinous property development crimes, but instead because of lack of payment of tax. Ouch. That’s got to hurt. But not as much as eight years would… It also seems a grossly unfair penalty for a relatively small amount of tax – I’m sure his lawyers will be appealing the decision, and yet, there are other activities that could be alleged are more worthy of jail. How about despoilation of Brooklyn’s Ohiro Rd gully for a start? 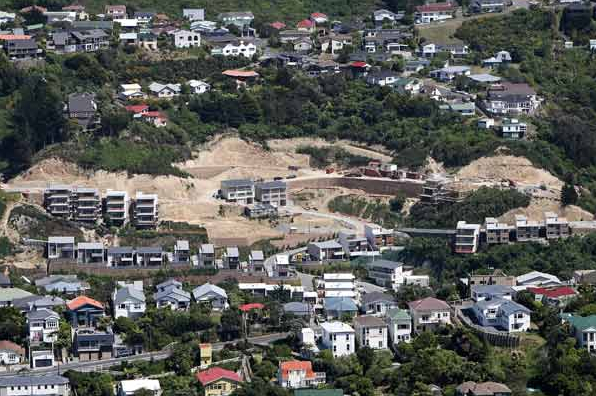 James had, for many years, openly flouted Resource Consent requirements, shifting vast amount of earth around the gully, causing massive scars on the landscape, and turning a development which he had permission for very few houses, into one for very many houses. Consent was applied for retrospectively, when it was too late really for the Council to argue the toss. The buildings themselves are not too bad, but the way they were procured has been unbelievably shonky. Suppliers, contractors, and presumably architects too have all been left severely out of pocket. Some unfinished houses have had to be demolished, as they had already started to rot. Unusually for the Dom Post, there’s a whole page of actual really good journalism on the subject in the Saturday edition. Secondly, last week’s paper shows how a local woman, and one time Chocolate Fisher, Janice Johansson, has also been jailed, for ripping off everyone in sight, including the public, by spending money that wasn’t hers, and erecting ugly developments in Scorching Bay. There was also the suicide of local eccentric Adrianus Johanus Vlug, the compulsive tiler of the Chocolate Fish carpark, whose murals still decorate the now very much less successful Scorch-O-Rama cafe in the place of the much loved Fish. There is obviously more to this story than the paper let on, that relates to the demise of both Vlug and of the Fish, but a polite veil has been drawn over the depths of the wranglings. The web was so tangled that I couldn’t really follow what she had done, except for stuffing up the local local property market by paying too much for a decrepit old house on a seaside property. But: spending money that wasn’t hers – that’s just standard practice for property developers isn’t it? Although, of course, in her case, she could have asked first – in her case, it was outright theft. Thirdly, North and South magazine came out with a massively long and well researched report on Hanover Finance, and the crooks that run the companies there. Mark Hotchin in particular, should be going to jail for a very long time, perhaps for ever, yet I’ll guarantee that he will get away scott-free. The article, several pages long, details at length the many varied twists and turns that Hanover Group went through, continually ripping off investors, and of course squirreling away money for themselves. Go out and buy a copy for yourself: the extent of deceit of the financiers and property developers is staggering. Curiously, North and South has absolutely no on-line presence, so I can’t link to them, but I’m impressed: perhaps N&S will struggle on a bit longer, while its one-time big sister Metro magazine seemingly takes a deep dive down to oblivion. Nationwide there are other anti-developer rumblings. 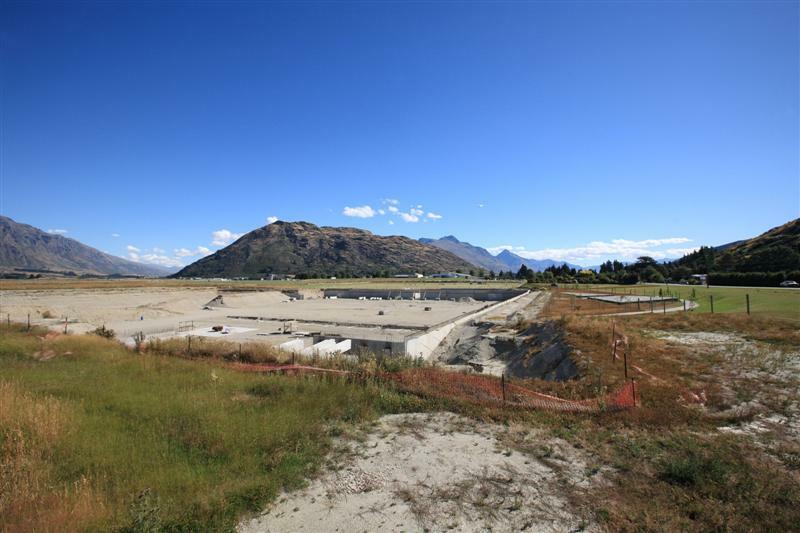 Some massive developments in Queenstown, including Dave Henderson’s Five Mile project, and Nigel McKenna’s Melview Development Kawarau Falls, have gone under, leaving massive holes in the ground as well as massive holes in the economy. Local builders there are hurting, and bleeding to financial death. Overseas banker troubles caused by the credit crunch have finished these schemes off, but were they ever really that feasible? Henderson’s hole in the ground never got any further – it is still just a hole, without any structure in it, but Melview’s hole is largely full of incomplete buildings. Will they too, like the unfinished dwellings in Brooklyn Rise, have to be demolished? The lesson to be learned here would seem to be: keep the infrastructure costs low, and complete project phases before moving on to the next stage. 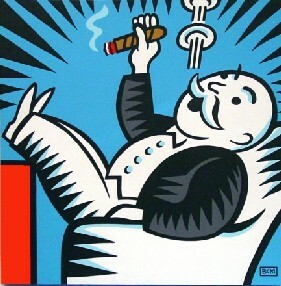 Do Not Collect $200 $200 million. And then there’s that huge hole in Ponsonby, now only used for drowning hedgehogs and breeding mosquitoes. ah yes, the infamous Soho Square – its not Soho, and its not a Square. Crimes against grammar and vocabulary as well as against hedgehogs and mozzies. I think it is fair to say that for the foreseeable future, a hole in the ground is just going to remain a hole in the ground. If Ponsonby was being clever, they would just fill it with clean water and call it an urban beach. but yes very slippery section of society! What? Really? I miss-read that entirely then. Thanks Sol, I’ll change it. I’m not suggesting for a minute that Terry is doing anything illegal or underhand (we’ll leave that to the National Government, who seem to have cornered that market), but there is a fine line between not paying bills to the Council and not paying bills to the Taxman. Watch out Terry: some creditors have teeth. While there is a certain element of schadenfreude for some people in watching Serepisos struggle, especially given his recent role lording it over the financially less endowed in The Apprentice, he is however in good company. After all, Mr Bouffant Hairdo Trump was himself taken to the brink of bankruptcy (or beyond?) at least once during his climb to current fame, and he seems to have glossed happily over that milestone with a can of extra thick whitewash. Of course, one could speculate who will be next amongst the small band of remaining property developers still left alive and kicking in the capital. There is a strong element of ‘keep your head down and don’t get noticed’ and the Bentleys and Aston’s seem to be parked up more in the garage nowadays…. I think the added reason many feel no pity for Terry is that he is well known alleged to be involved with drugs and underhanded dealings. Our other local scumbag John McGrath also played the account “in dispute” card on contractors, he owed the firm I worked for $4000, they never received the money. They are all the same these types of guys, into the wrong women, wrong drugs and wrong ways of doing business. 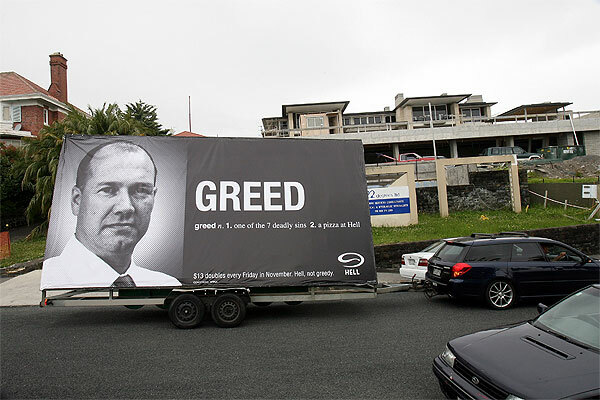 Who cares that he has done lofts of “good” things for Wellington, if you don’t pay your bills or your rates you are just a crook. So if it is true that he has not been paying people and “disputing” things, I hope that he gets taken down, hard. Arguably, and definitely morally, Fay, Richwhite, and Watson should all be in prison for stealing money from the New Zealand taxpayers. Totally, totally immoral.